I had to since it was red! 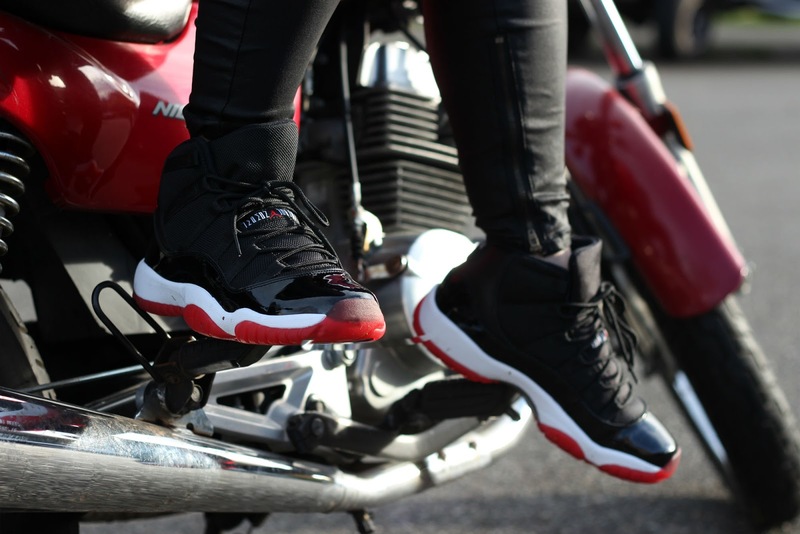 I hardly ever wear my Air Jordan 11s (mainly because I don't want to ruin their beauty!) but decided to bring them out with this otherwise all black faux leather look. The all-black look with the pop of red from the shoes just gives this look an extra bit of oomph. 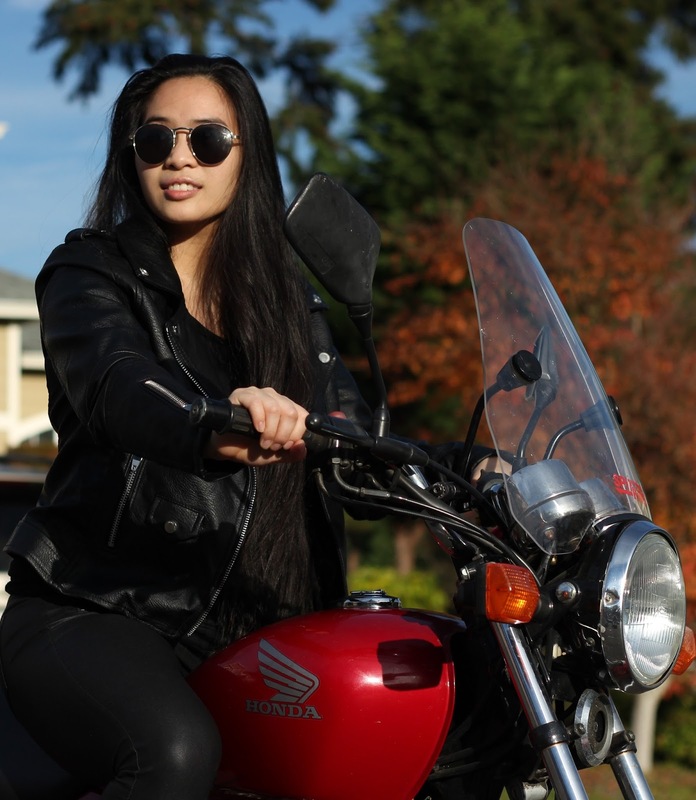 As I was shooting at my aunt's house, my cousin asked if I wanted to shoot on her bike and I was like, 'heck yes! why didn't I think of that sooner?" It just so happened that her Honda Nighthawk was a fiery red that perfected this look. 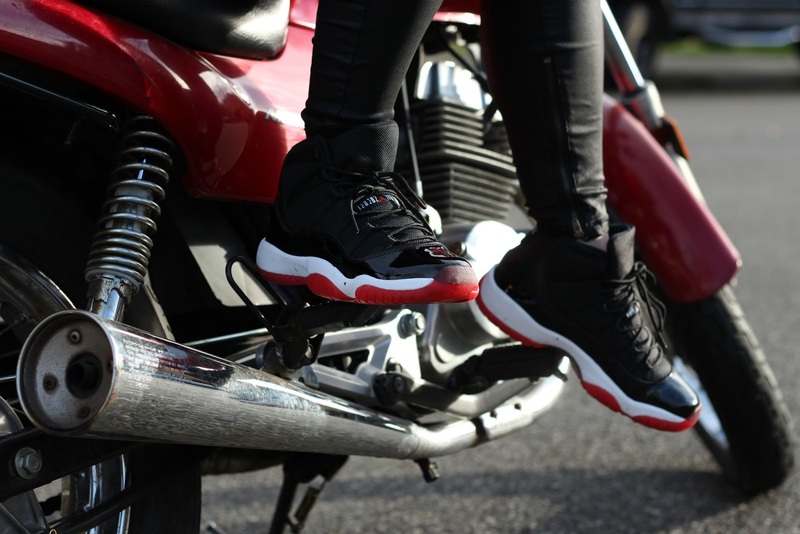 I personally by no means have ever ridden a motorcycle and this was my first time I was physically on one. I'll be the first one to tell you I was being a "poser" as I was posing, haha, but I definitely want to try riding one day. Please keep in mind that all photos of me on the motorcycle are with it not on (her battery was dead, lolz) and propped up. If you do ride, you should always wear full riding gear and a helmet (as I reiterate what my cousin said too!). 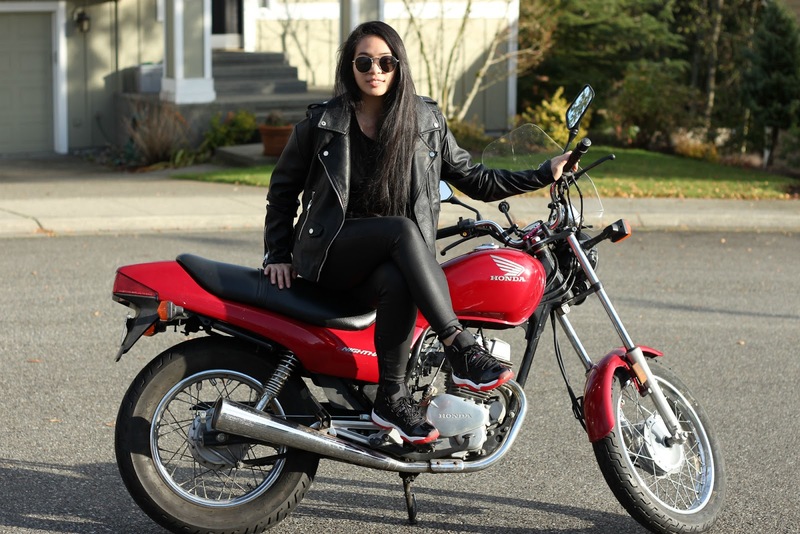 Now I sort of know how models feel when they are asked to model on props, such as a motorcycle - I constantly felt like I was going to tip over and was trying not to move the whole time! Do any of you guys enjoy the black and red color combination? Let me know!